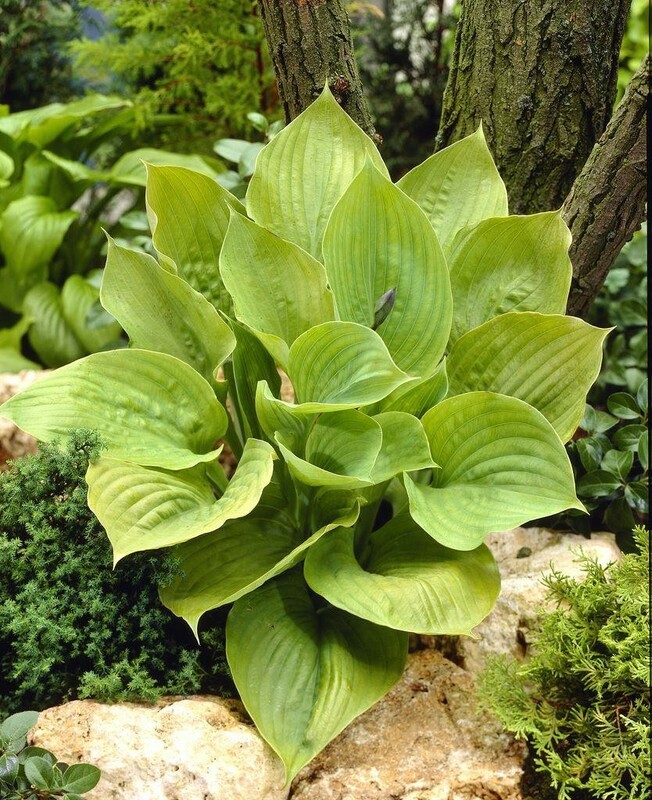 Quite possibly the biggest and most popular hosta in the world, this immense plant is sure to satisfy. Robust size makes a perfect focal point to set off with bronze and dark green plants. Stiff leathery leaves in bright chartreuse fading to gold as days grow long and warm. Flowers in 3 foot stalks decked in lavender bells around midsummer. Prefers fertile well drained soil and even moisture. Rapid growth to 2 to 3 feet tall and spreading to a mammoth 5 to 6 feet wide. Unequaled for their beautiful foliage, low care, and many landscape uses. 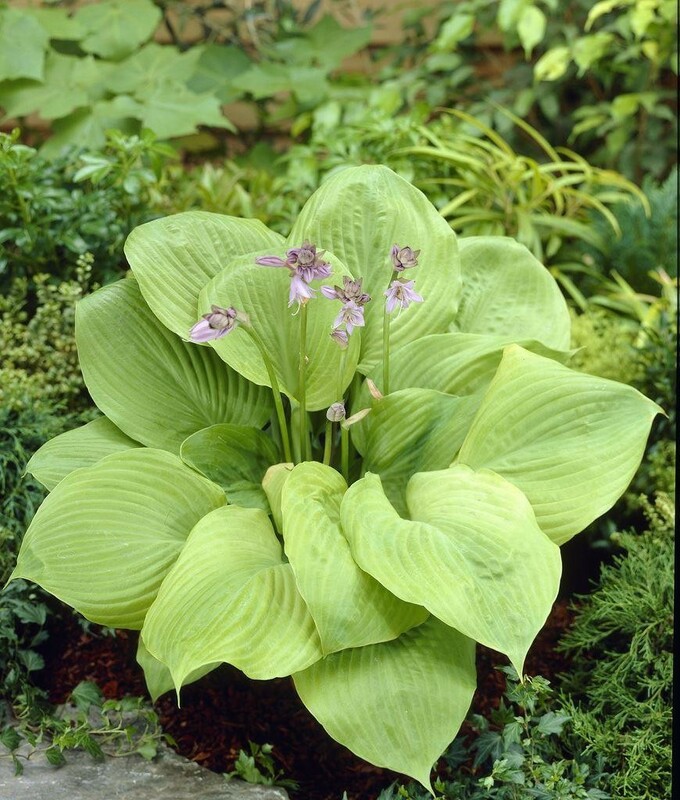 Hosta provide bright colour in the shade with handsome, broad, ribbed foliage in many colors. Very showy from early spring until late autumn. Excellent for shade, sun or partial shade. . . . they don't need dividing. Grown even in moist locations. Supplied in approx 3 litre containers.